Identification: One long tail. Upperside brown; forewing pointed. 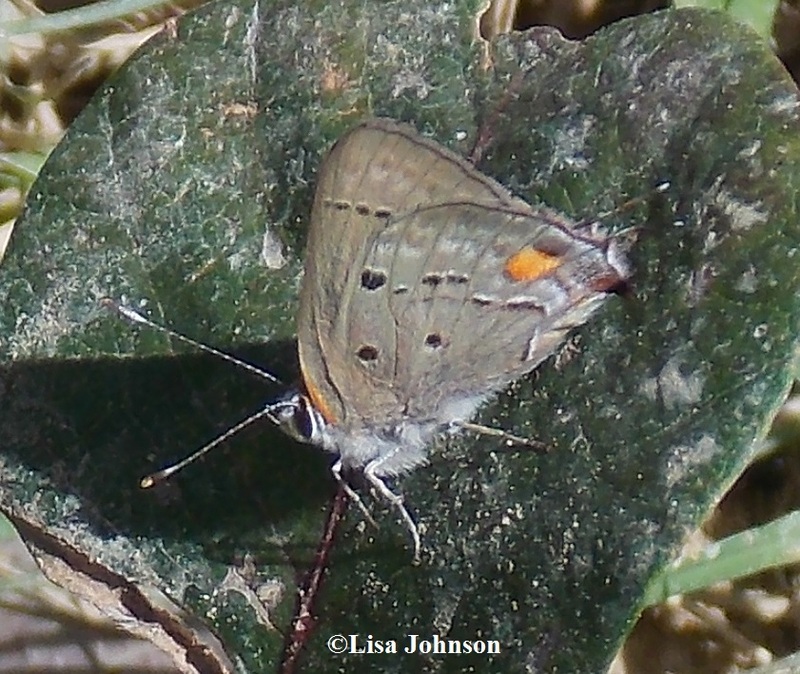 Underside brown; hindwing with 2 black basal spots and postmedian row of black spots. Flight: Possibly 2 broods, from April-December. Adult Food: Herbaceous Malvaceae (Abutilon, Sida, and Hibiscus); shepherd's needle (Bidens pilosa). Habitat: Weedy forest openings and fields. Range: Florida Keys and West Indies. Conservation: Was last found on the Florida Keys in 1976. Management Needs: Search for any remnant U. S. populations.